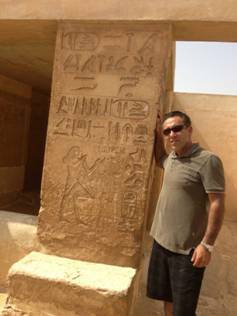 I spent the last 10 days in Egypt on a purchasing training and consulting assignment with one of the biggest companies in the country. I spent most of my time in Alexandria, a beautiful Mediterranean-like city on the water. After my work was done, I found time to sight-see a bit in Cairo, prior to flying back. No trip to Cairo is complete without a visit to the pyramids, and of course I did just that. I had a few options in visiting them. 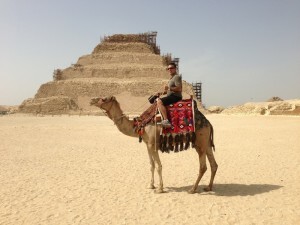 One was to walk, the other was to drive, the third was to go by horse, and the final option was to go by camel (I know, I know, you were dying for me to get to the camel topic…. keep reading and I’ll eventually make this topic relevant to purchasing). Since I already get enough exercise walking back and forth to the refrigerator at my home, walking was out of the question. Many triathlon competitors will tell you that exercising too much (over-training) is a big problem, and I refuse to fall victim to it. Going by car seemed too mundane and also too quick. Going by horse felt so, well, un-Egyptian. As they say, when in Rome, do what the Romans do. Therefore, I went by camel. I learned a lot about camels from my guide. One thing is that they go the entire Fall and Winter seasons without drinking a single drop of water – not one drop! The water is there, they just choose not to drink it, for a full six months. I was awestruck by this fact. During the Spring and Summer seasons, they drink infrequently, but when they do, they drink 40 liters. I was like that in college, only with Diet Coke. Of course, camels also have humps as a source of energy for their long treks. I have my belly, but it is of no such use. One other thing I learned was through my own observations. My guide was on a horse. His horse did what all horses did when walking: it would look at the ground. Curiously however, my camel never once looked at the ground. He kept his head high and straight. He would look far into the distance the whole time. This piqued my interest. I asked my guide why this was the case. His answer was fascinating (to me, anyways). He said that camels have to cover incredible distances, and they know it. What’s happening a few feet in front of them isn’t important to them. They have to focus on where they need to get to in a few months, not where they will get to in a few feet. As a consequence, they hold their heads high and focus on their destination. This got me thinking. There is a lot to learn from camels. Camels are strategic thinkers. They plan everything ahead. They don’t let themselves get bogged down by the short term. They look far ahead and focus on their goals and objectives – getting from where they are to someplace very, very far away. They are unencumbered by the present. It is vital to their very existence. Of course, I saw a purchasing corollary in all of this. Here I am in front of the one of the Seven Wonders of the World, and I’m busy philosophizing about purchasing. I really need to get a life. Anyways, the best purchasing and supply managers that I have seen are the ones that don’t get bogged down in daily fires. And it is my experience that most purchasing professionals are spending up to 75% of their time in “fire fighting” activities. What I mean by that is not that they lack purchasing skills, but rather that they’ve allowed themselves to get sucked into unplanned short term activities – mails, IMs, customer issues, supplier issues, phone calls, etc. How often has it happened that you started a day with a list of things you wanted to accomplish, and only got to one or two items at best because of unplanned activities? How many of those unplanned activities made it to your monthly status report? To your annual performance review? Chances are, they made it to neither. That’s the nature of fire fighting in our profession. Nobody got on the fast track to being the next director of corporate purchasing because they were so adept at putting out fires. The answer of course is not to ignore these daily issues. The camel doesn’t do that either. The camel finds solutions that result in the ability to focus on the long term. We all need to do that. I teach many such principles in my seminars. It’s not enough to have great purchasing skills. We need to structure our workload and manage our customers and suppliers such that we can spend our time on strategic activities that do end up in status reports and annual reviews… and ultimately, in promotions and career growth. To be honest, I never thought I would write a blog extolling the virtues of camels. Here we are though. 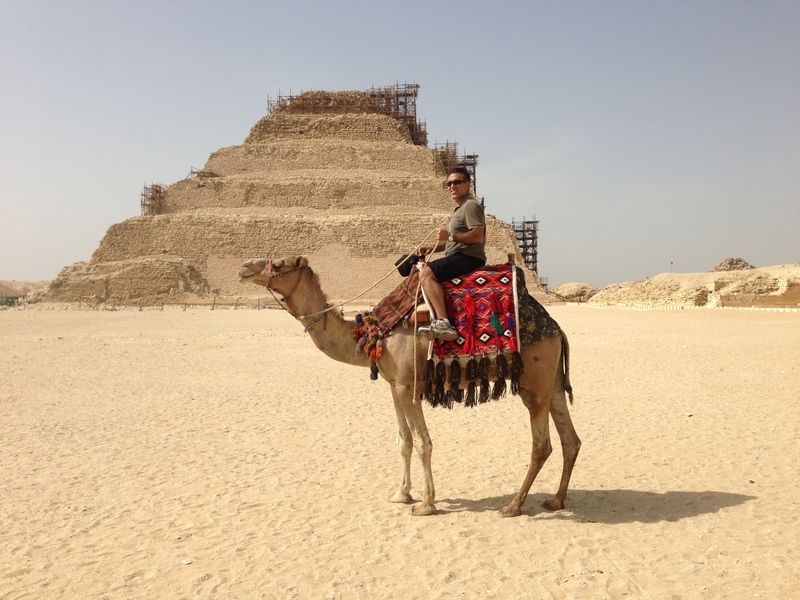 Incidentally, in case you are curious, here’s a picture of me and my camel. Who knew I’d learn so much from him? Want to learn Omid’s secrets that will change your purchasing career and life forever? Click Here right now. You’ll be glad you did!